The Tequila & Taco Music Festival returns to San Diego's Embarcadero Marina Park South for a weekend filled with delicious street tacos, craft beers, margarita booths, art vendors, live music, and more. We are giving away 2 tickets to the Tequila & Taco Music Festival's Tequila Experience! (6) half-ounce Samples of Tequila and (1) Souvenir Tasting glass! 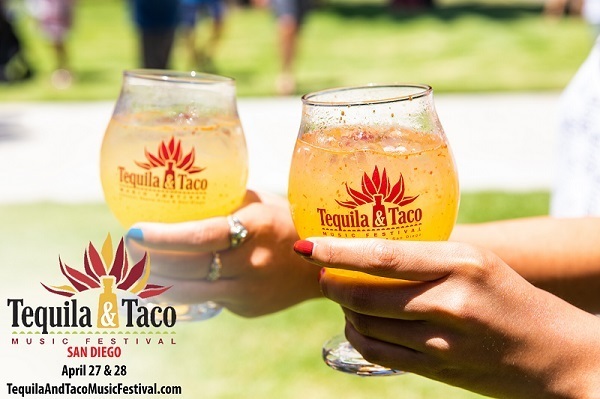 Enter for a chance to win 2 tickets to Tequila & Taco Music Festival's Tequila Experience on Saturday, April 27, 2019. Contest begins on March 25, 2019, and winners will be chosen on Friday, April 19, 2019, via email. Must be 21+ to enter. One submission per person, per email address for the duration of the contest. No cash value. All contestants will also be entered into the exclusive email subscriber list for the San Diego Entertainer.